A sophisticated impression in both men and women is associated with the outline of the facial contours from the forehead to the nasal tip. Most Asians have thick nasal tip skin and soft tissue, while the cartilage support is weak. Thus, this results in a low-sitting, bulbous tip. The ideal nasal tip is slightly upturned while not pointy. Tip-plasty can correct a low-sitting nose, largely up-turned (“pig”) nose, pointy nose, and bulbous nose. 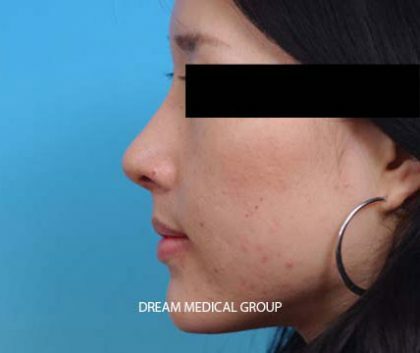 Dream Medical Group and Dr. Kenneth Kim perform various surgical techniques to correct different conditions to make aesthetically ideal and natural-appearing results. Thus, prior consultation is very crucial in determining the exact method and duration of the surgery. In case for severe low-sitting nose, ear cartilage grafting might not be sufficient enough to achieve an aesthetically beautiful nose. 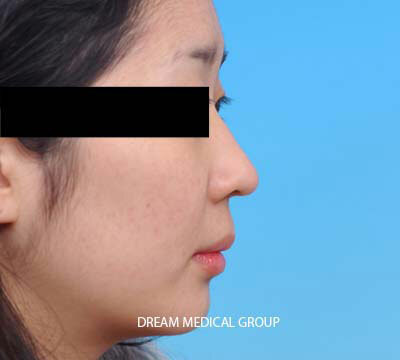 Depending on each individual, Dr. Kim may utilize MedPor in order to create a strong support at the nasal tip, suture the nasal cartilages to reshape, and overlap ear cartilages to create a beautiful nose. This technique allows the new shape of the nose to last for a long period of time while efficiently achieve the desired results. People with a bulbous nose have thicker nose skin and soft tissue. The main goal of the bulbous nose correction is reducing the size of the nasal tip by removing excess soft tissue. The surgical techniques include repositioning the nasal cartilages to reduce the size of the nose, support the nasal tip using MedPor (porous high-density polyethylene implant), and removing excess soft tissue. Ear cartilages may be placed to shape the nasal tip. 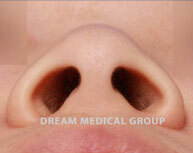 Through bulbous nose correction, a more refined and sophisticated nasal tip can be achieved. The broad and flat nasal tip can be corrected through repositioning the nasal tip cartilages. By repositioning the cartilages that shape the nostrils, the size of the flared nostrils can be changed, and the angle of the nose can be corrected. MedPor and ear cartilages may be utilized to help supporting the nasal tip and heightening the tip. When nasal tip plasty is performed correctly, the size of the nostrils can be reduced. 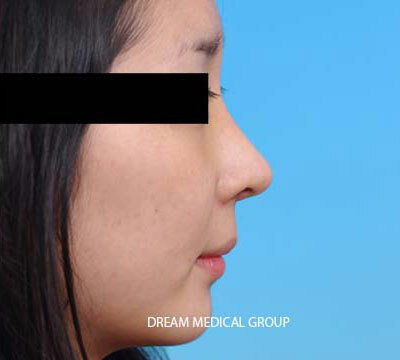 However, if the tip is flared and heightening of the nasal tip cannot resolve the condition, the alar reduction is performed to correct the flared nasal tip. The two main techniques of the alar reduction include making an incision inside or outside the nose. 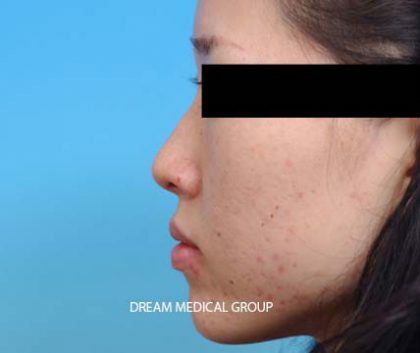 Either way, the incision will not be noticeable, since inside incision cannot be seen externally, and the outside incision will be hidden by the folding wrinkle located at where the nose and the cheek meet.